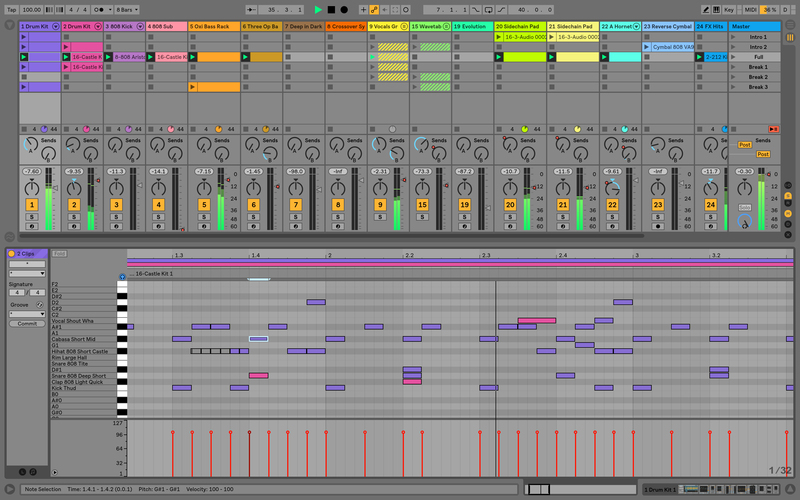 The long-awaited release of Ableton Live 10 is official! You may be asking yourself: Was is it worth the wait? What’s new? Or for new users: Why should I even bother with Ableton — who needs another DAW? Let me address the last question first. Ableton is like no other DAW on the market. And in the last few years, it has consistently ranked in the top three DAWs in several online surveys. That is not to say it does everything better than the competition because every application has its strengths and weaknesses. But it does offer some functionality not found in other software. 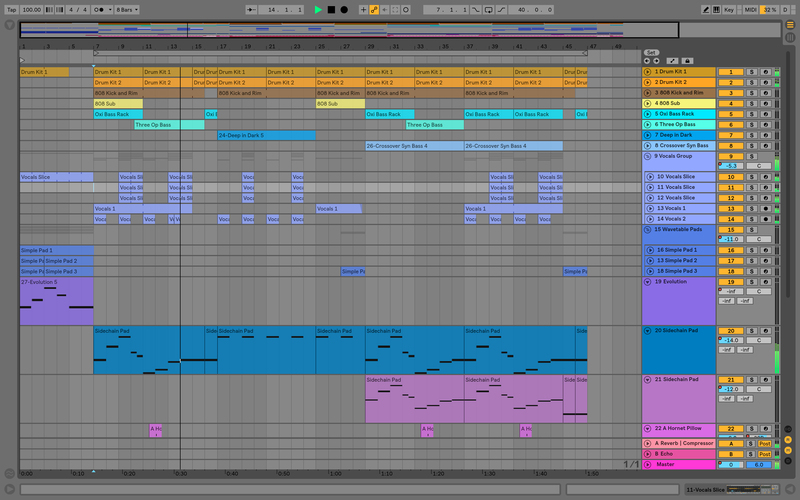 I was initially drawn to Ableton Live for two main reasons. The first is its unique Session View. This allows the triggering of MIDI or Audio clips in a non-linear way for the purpose of auditioning various combinations of loops or sounds, activating preconfigured groups of clips, or for improvising a live set on the fly. Performances can be recorded directly into its Arrangement View, which resembles a traditional DAW window, but with the track controls on the right. 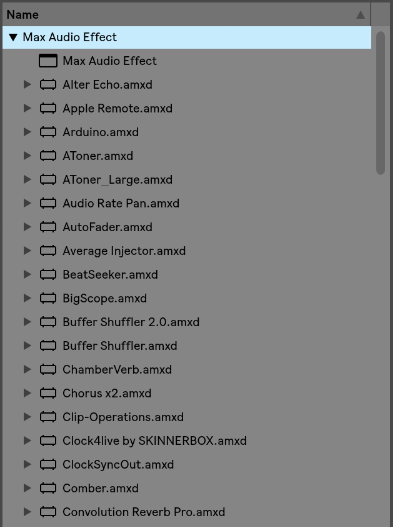 As a Max/MSP user for the last 20 odd years, I had written several patches to trigger clips in this way for live performance situations, but Ableton provides a more stable and functional environment. 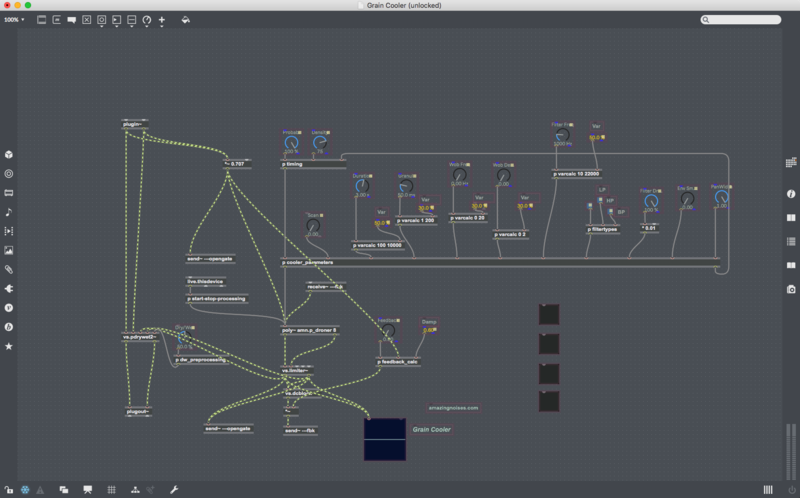 Speaking of Max/MSP, that brings up my second reason for adding Ableton to my stable of software. 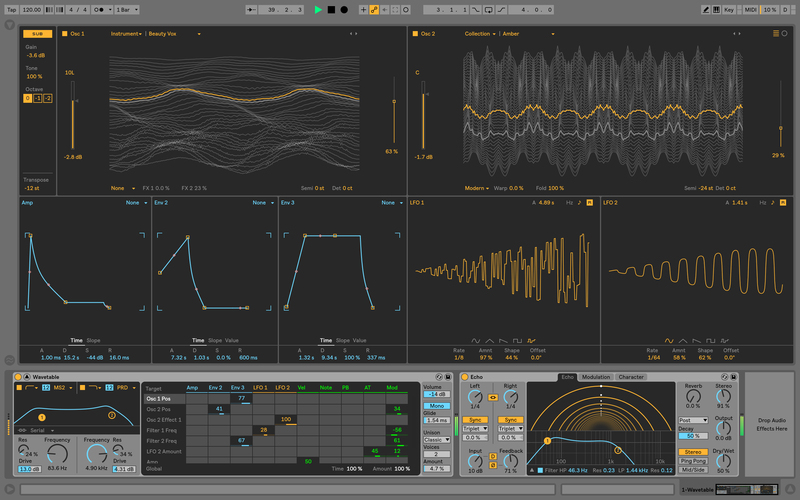 Ableton and Max/MSP have been integrated for some time, but last year Ableton acquired Cycling 74, the developers behind Max/MSP, so full integration is now complete. See my article on the acquisition here. 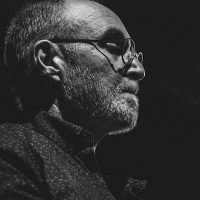 If you’re unfamiliar with Max/MSP and the Max for Live paradigm, I suggest reading my article or checking out the Cycling 74 site. Ableton Live comes with dozens of Max for Live Devices and the number of 3rd party devices is expanding exponentially. To clarify, a Device is a plugin that can be used in Ableton Live just like a VST or AU plugin. The difference is with Max for Live, you can create your own devices without knowing any code. You just need some working knowledge of the Max graphic object-oriented language, which is far less cumbersome. In the Max environment, virtual patch cables connect objects, determine signal flow and direct communication between objects. The learning curve can be a bit steep for some, but it’s nothing compared to learning code. Being able to design devices for very specific and idiosyncratic needs is a game changer. I can go on and on about Max since I’ve used it for so many different projects from multimedia installations to computer-interactive performance to experimental video and others. Suffice to say it can open a rabbit hole from which you may never escape. The innards of the Grain Cooler device by Amazing Noises. 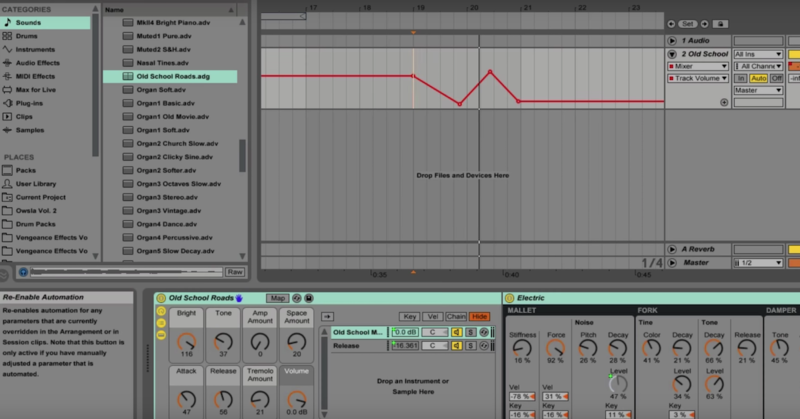 Max has been integrated for some time with Ableton — so what has changed? The acquisition seems to have solidified the marriage of the two companies. The devices load faster and Ableton 10 comes with Max 8, which has yet to be released separately as of this writing. The Max 8 interface and palette of objects are more tightly aligned with the Ableton aesthetic, more CPU-friendly, and although I’ve just cracked the surface, I’m anticipating more functionality and improved communication between the two environments. The Connection Kit suite of Max Devices offers unique functionality and the seamless integration of OSC devices, Arduino products, Leap Motion 3D, LEGO WINDSTORMS and JSON web-based data retrieval. There is an overall cleaner look to the entire interface thanks to the new Vector Graphics in Ableton 10. This has dramatically improved the appearance of the interface at all zoom levels, a welcome change for the visually-challenged like myself. 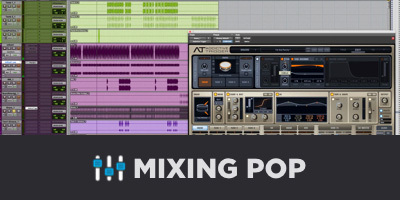 Improved MIDI editing functions such as multitrack editing and chase MIDI notes. MIDI capture, which is always listening and recording whether “record” is active or not. Groups within groups are now possible. Auto backup system and undo before last save features. A method for organizing and labeling Favorites — effects, instruments, etc. Improved track and plugin automation functionality. Ability to bounce mp3 and FLAC files. True Stereo Panning is now available instead of the previous balance control for stereo tracks. The Utility device now has a Bass “mono-izing” parameter with a cutoff control. 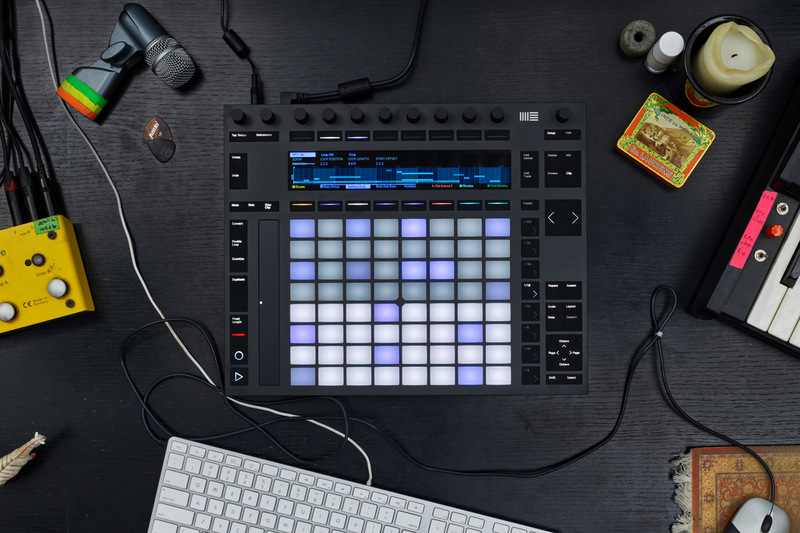 New display features and functionality for Push 2, Ableton’s flagship controller. Echo is a stereo delay device with modulation capability and a time tunnel-like display. Drum Buss is an all-in-one device for processing drums that includes saturation, compression, transient control, and a sub tone control called boom. Pedal is a deceptively simple device with pedal-like distortion that sounds great. Wavetable is the much-anticipated wavetable synthesizer, an elegant instrument with an intuitive and neatly packaged interface. The Ableton concept seems to be based on the idea that form follows function as reflected in the application’s Bauhausian interface. The devices have an austere and consistent aesthetic that understates their usefulness and the quality of their sonic capabilities. 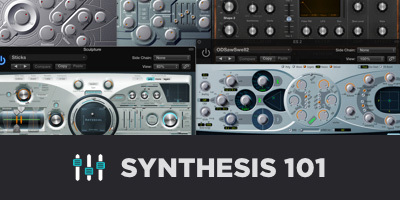 They sound surprisingly good and rival some of the more expensive, highly-ornamented 3rd party plugins. This design philosophy has the benefit of minimizing processing power so that resources can be better allocated towards actual sound production. This is demonstrated well in the Ableton Warp algorithms, where sounds can be quickly and efficiently tempo-synced and pitch-shifted with great results and few artifacts. 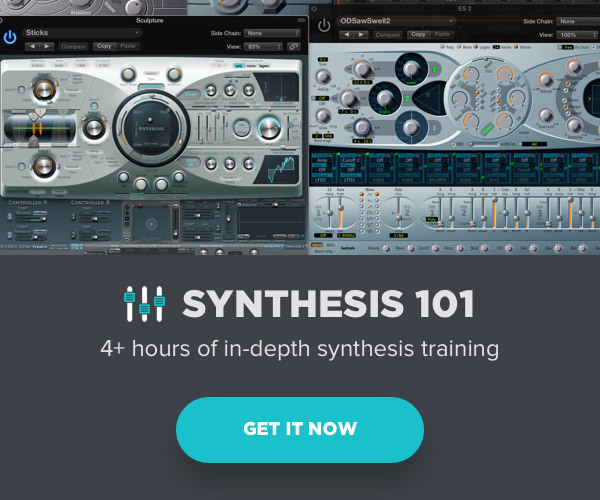 Every DAW has its niche and as an engineer, producer or composer it is to your advantage to have a working knowledge of the main players on the market. Ableton has dominated the area of live performance for some time and I see very few companies making any substantial inroads to challenge them. Their acquisition of Cycling 74 shows a strong commitment to the notion of the sole 3rd party developer, keeping the door wide open to innovation and experimentation. With the recent improvements in MIDI editing, mixing workflow, added effects and the Wavetable synth, current Ableton users have several reasons to celebrate and the competition would be well-advised to shed the complacent expectation of customer loyalty that seems to prevail for many deeply entrenched and established companies. Fear the Reaper. And if you’ve ever toyed with the idea of tasting the forbidden fruit from the tree of Max/MSP, now may be the best time ever! 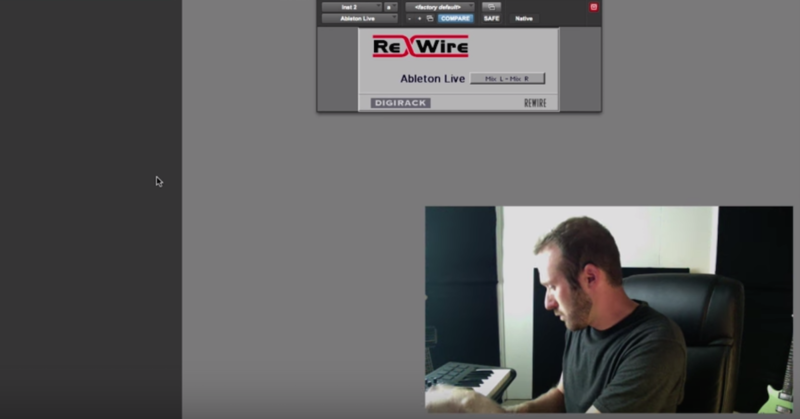 Ableton Live and Cycling ’74: The Holy Alliance or Dynamic Duo?